Do I have anyone still reading this blog of mine? I’ve been so immersed in my business of pillow making – filling orders, creating some new, soon-to-be-seen designs, selling at the Hobnob Market, and getting my kids through the final weeks of school that I’ve totally neglected all of you. But today I’m popping in with a wonderful post, all about an amazing awesome-sauce book that I am totally over-the-moon about, and you really must check it out! 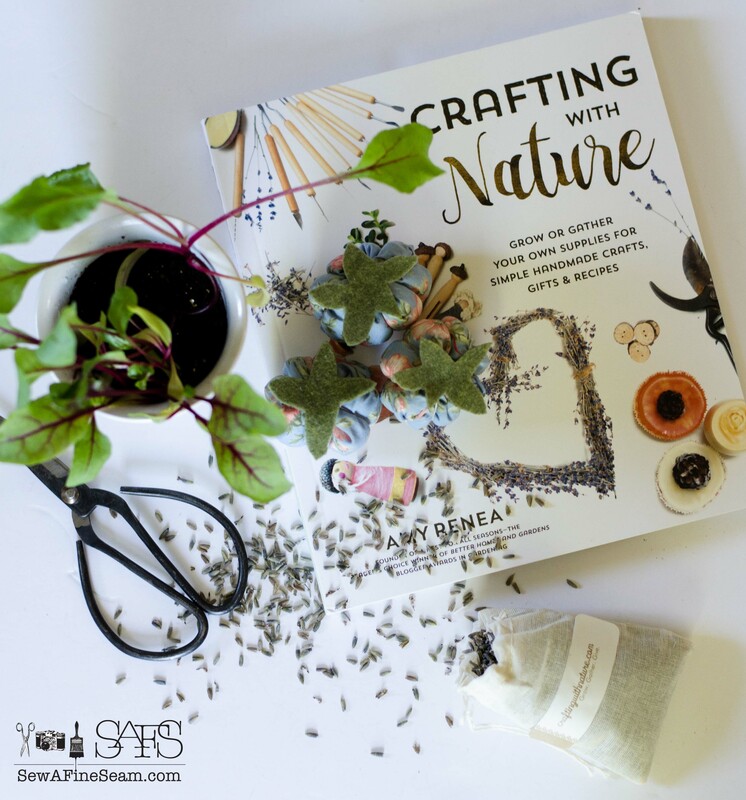 The book is called Crafting with Nature. This book is just chock full of goodness. 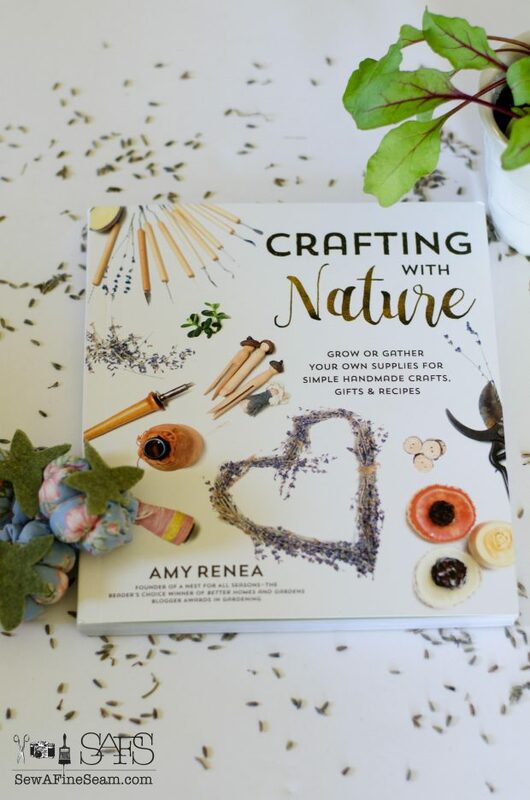 Not only is it packed with awesome and unique crafts made from things you find in nature, but it’s also loaded with a plethora of information on how to plant and grow natural items yourself to use in your crafting. I’ve been friends with Amy Renea for several years now, and when she asked me if I’d like to review her book, Crafting with Nature, I was like, ‘sign me up yesterday!’ I’m so thrilled for Amy that her book is published and you will be too once you see it! It’s so much fun, has so many ideas and projects, and your kids will love it too. Amy generously included a few little treasures in the package with my book. One of those treasures was a packet of beet seeds. 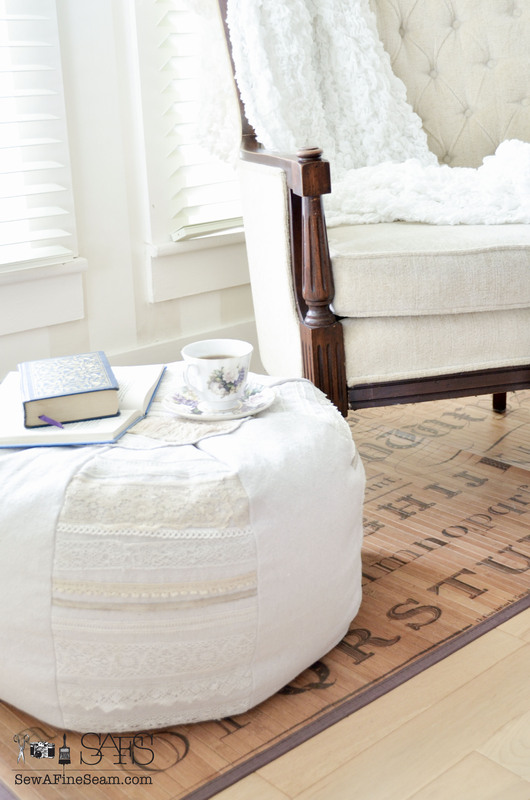 There are some cool projects you can do with BEETS! My girls helped me plant the seeds in some fun little pots I brought home from the shop. We set them on the kitchen window sill where they would get lots of sunshine. For some whimsical fun we added a vintage sign informing everyone NOT pull or cut flowers. After a few weeks the beets are growing very well and are ready to be transplanted outside. Now that our frost date has past I hope to get them moved outside. They are such pretty plants! The dark purple/red and green is so fun I may just have to plant these every year in late winter to add some color and freshness to the end of the drab winter months. 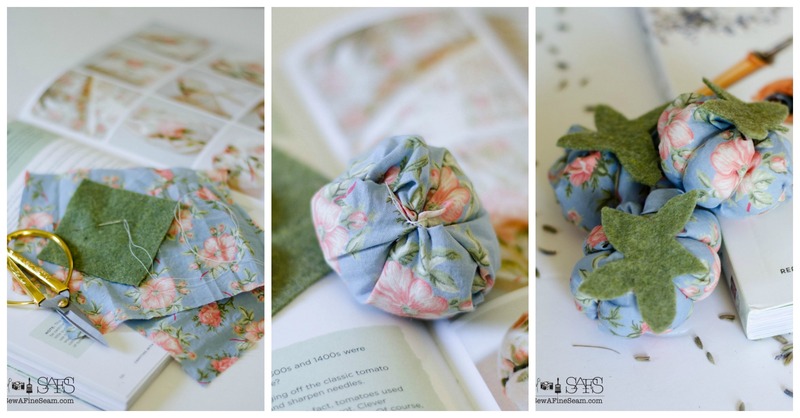 More goodies included were the supplies to make these totally adorable little tomato pin cushions. 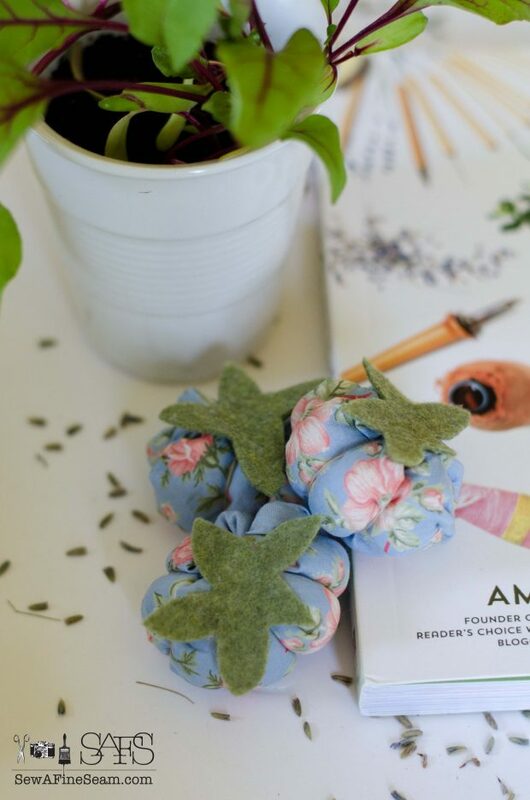 As I was reading the directions and making my own little, squishy pin cushion an idea formed for a new member of the Sew a Fine Seam family. 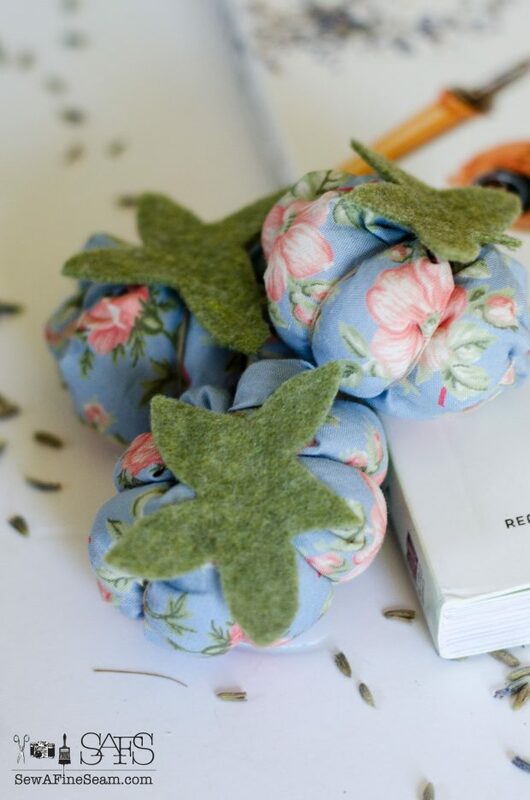 Amy threw all kinds of interesting tidbits into her book – in the section about the pincushions she gave the history of these little stuffed tomatoes and also the name the Victorians called them – pin poppets. Oh my. Be still my heart. Amy also asked if we could please bring that name back. And so I am. Seriously, who could hate hand sewing if your needles were housed in one of these? 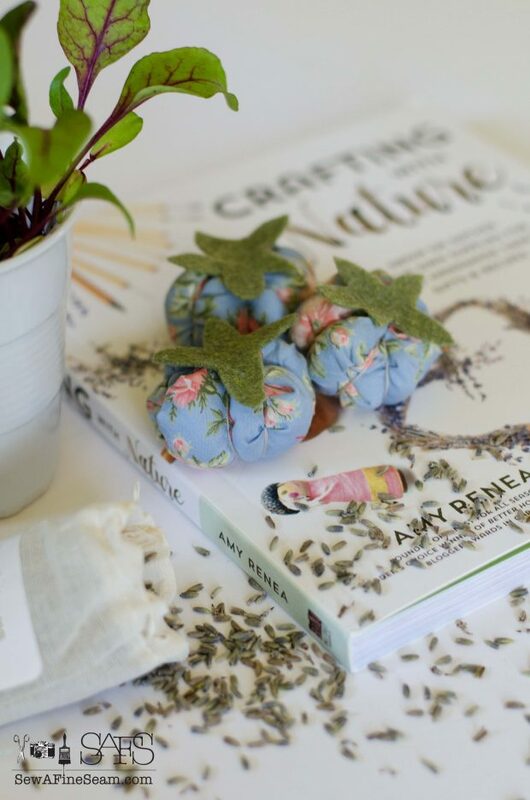 Amy also included a little bag of dried lavender. She shares how to use lavender in crafting but she also tells you how to grow it and keep it alive! 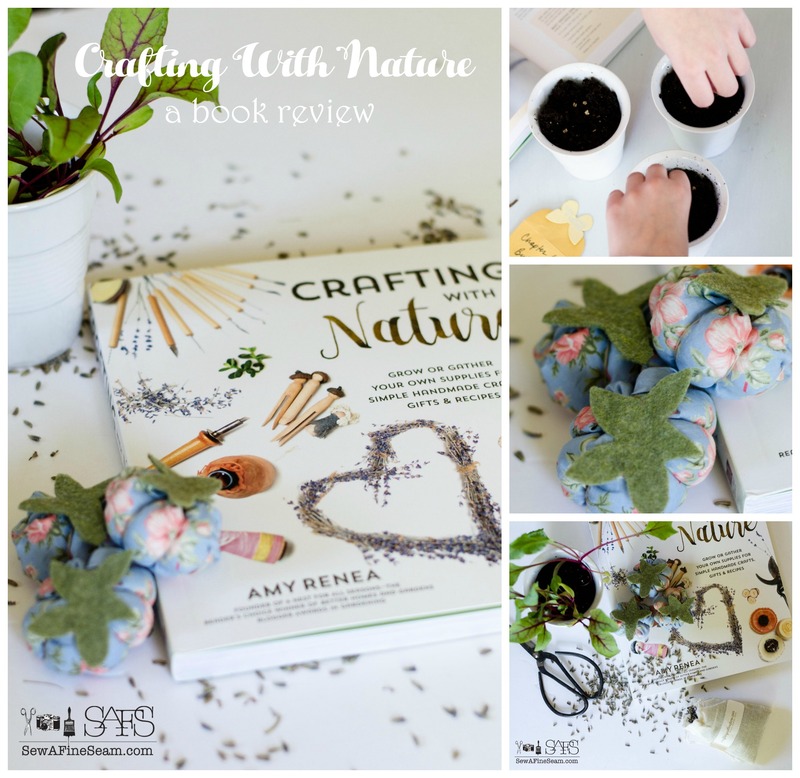 This book truly is a cross between a crafting book and a gardening book. You get the best of both worlds. 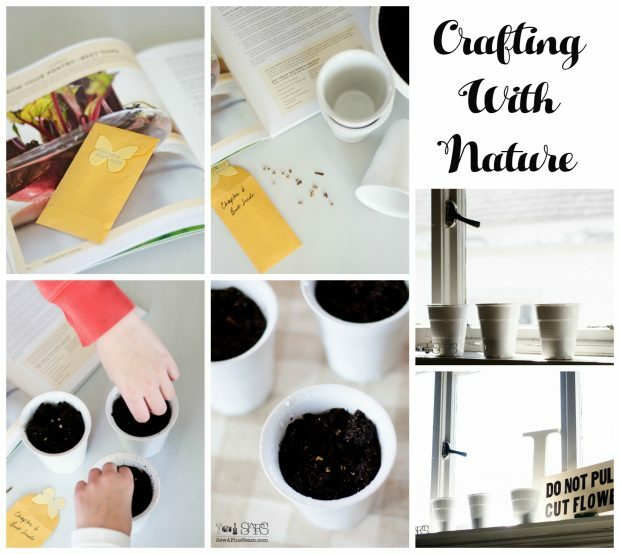 Not only do you have directions on how to make things using natural elements but you have a wonderful guide to growing those natural elements yourself. Win-Win. 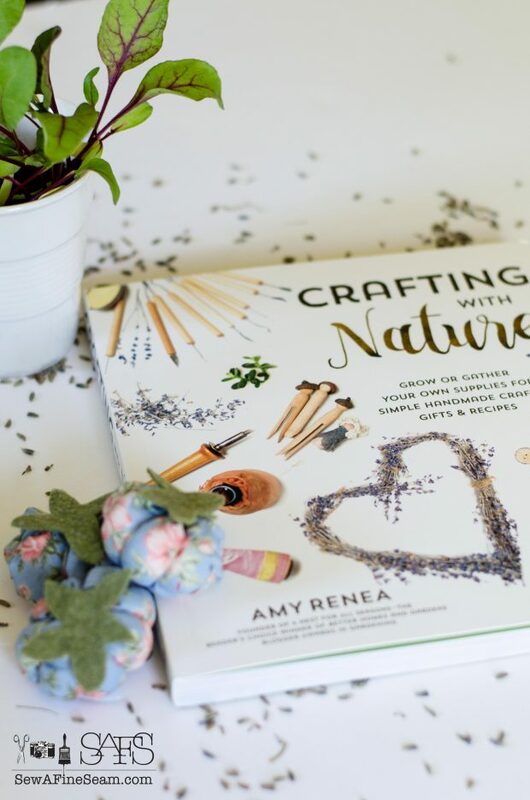 Besides being the author of Crafting with Nature, Amy Renea is a crafter, gardener and photographer. 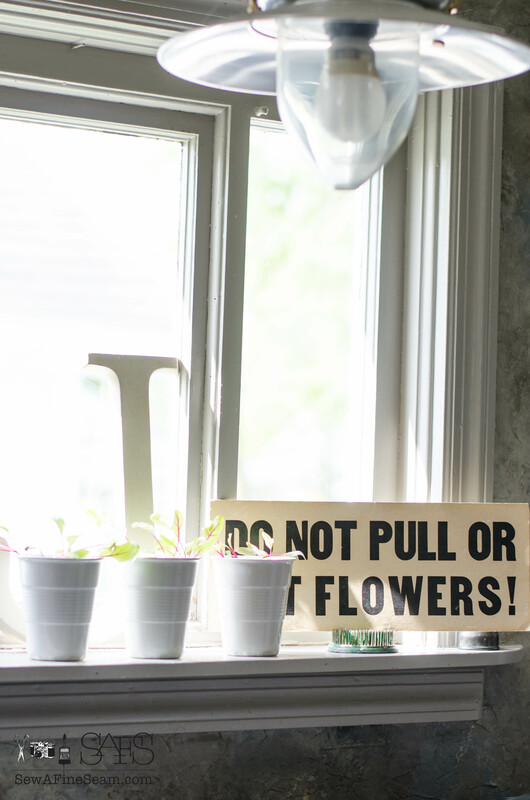 She blogs at ‘A Nest for All Seasons‘, and has been chosen as the ‘best gardening blog’ in the Better Homes and Gardens Blogger Awards. 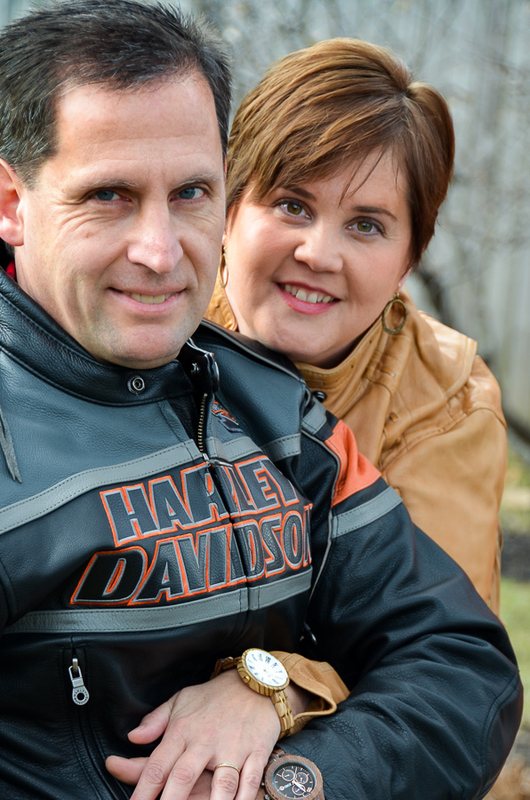 Check out her blog, follow along with her there, and make sure you look up her book – you won’t be sorry! *I was given this book and the items I created with in return for sharing my thoughts with you. All opinions are 100% my own. Oh, how fun! It looks like an awesome book! It’s perfect for you! Hooray! Pin Poppets!!!! A.D.O.R.A.B.L.E. That name. The cuteness of the Poppets. Wonderful addition to your store! YOUR BEETS!! They look great! ….and HOORAY for pin poppets — I can’t wait for you to sell them in your shop Jill!!! 🙂 🙂 Thanks again for reading and reviewing – MWAH! My beets have now been transplanted outdoors and they are still looking amazing! Such a beautiful plant! The pin poppets are still in the works – I will have a bunch ready for my next event that is coming up in July!